I feel vindicated. A few weeks back, I came across this article in the food section of the Chicago Tribune. It is about is a liqueur we have had on our back bar since we opened in 1985. Not the same bottle... we might use one or two of them a decade. 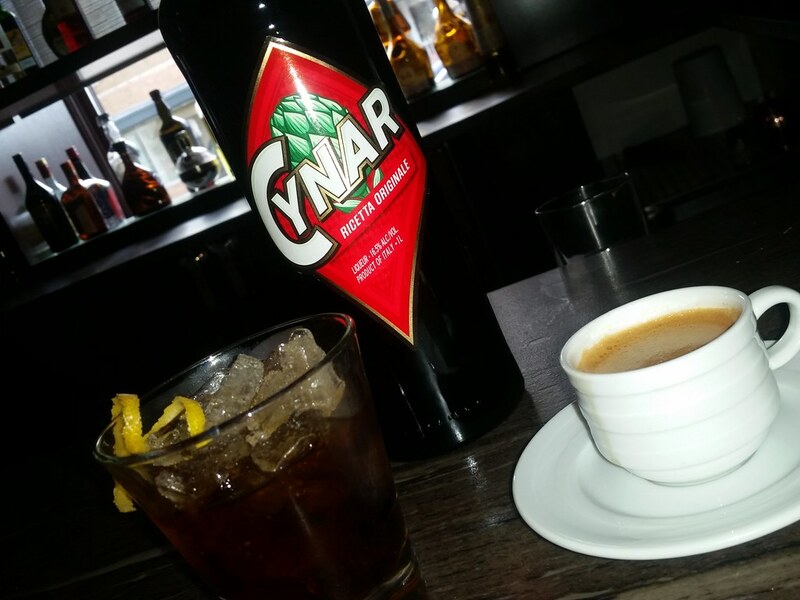 Over the years, people have made fun of me for my insistence that this bottle of Cynar even occupies a space on our shelves, we sell so little. I have always said the bottle deserves a spot just for its simple beauty, an eye catching, bright red background with a giant angry looking artichoke dominating the label. It is probably one the most asked about bottles on the back bar. Unfortunately, the interest usually ends there when you tell a customer it is a traditional Italian artichoke aperitif. The jury is out as to whether it is an aperitif, digestif, or a liqueur. Either way, it is my all time favorite. I found it many years ago at a classic Italian restaurant. The bartender recommended it accompanied by an espresso. My preferred way of serving it is very simple - on the rocks with a twist. The combination is wonderful. It also has a way of soothing a stomach after dinner that I find unmatched. It is lower in alcohol, so it is the perfect way to end an evening out. I do have friends who actually like it. They had to get past the initial pucker up, sour-faced reaction that most people get when describing it as an "artichoke aperitif." Whenever a restaurant has it, I am surprised, and it immediately gives credibility to that restaurant's liquor list. With the craft cocktails garnering much more interest in the food world, I really get a kick out of how mixologists have rediscovered so many of these old world concoctions for adding depth to their creations. It might not make a lot of business sense that we stock and display so many of these, given how rarely they are used. But recipes, history and traditions warrant they belong to any serious bar. That is why we stock almost 400 different items for any occasion.